Wearing accessories that define you is crucial. Jewelries decorated with floral elements can add an extra glam factor to any outfit. 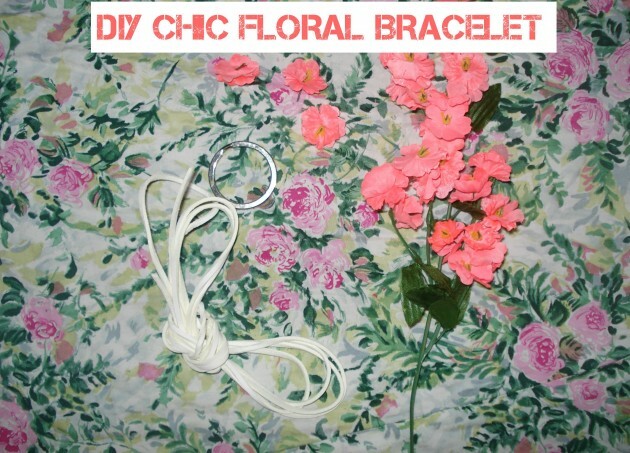 Try this DIY Chic Floral Bracelet tutorial and forget about boring and plain looks. Choose colours and forms wisely, until you can build up a versatile and up-to-date clothing style. If you’re feeling adventurous play around with artificial flowers of different shades. Loop around the leather cord on both sides of the key ring. Leave the cords longer to create a multi-functional bracelet. I used white leather to make the jewellery more wearable. Apply a drop of glue on the bottom of the flowers and select the best pieces from the bunch. 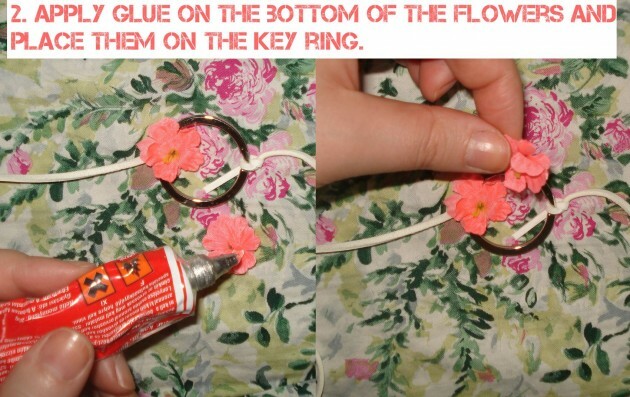 Apply these tiny details round the key ring. 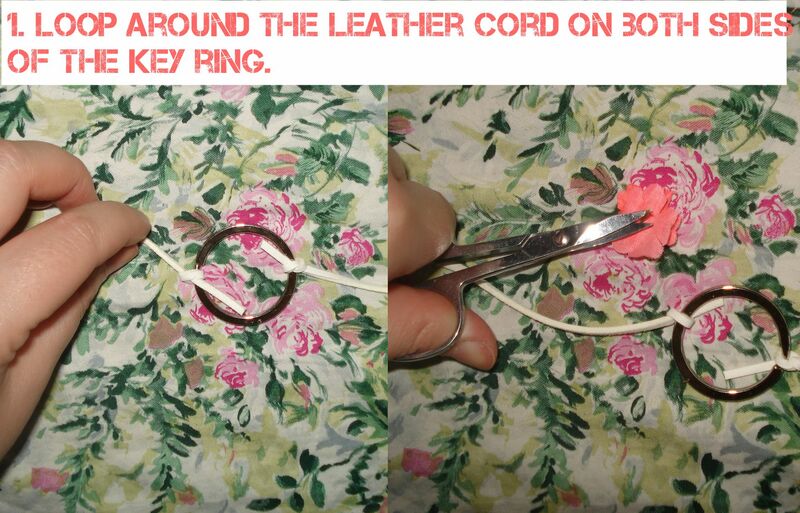 The long leather cords allow you to wrap the bracelet at least twice around your wrist. Moreover, you can wear this accessory as a headband or a necklace. 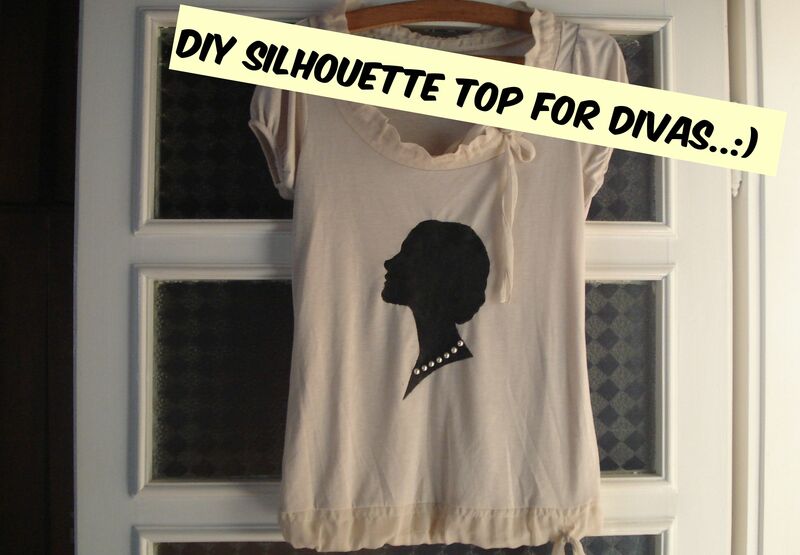 Isn’t it amazingly stylish? 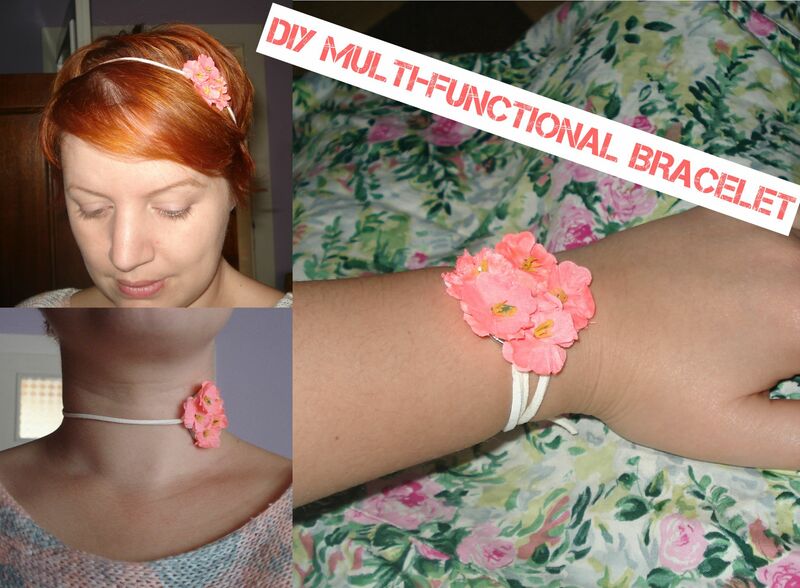 Use your personalised accessories to add a nice touch to your everyday outfits!